The Bridgestone Winter Classic is one of several events where the NHL will be promoting efficient energy use (Tom Turk/The Hockey Writers). Earlier this week, the NHL announced that they have named Constellation its official preferred energy provider. Together, the NHL and Constellation will conduct energy efficiency analyses and recommend energy management strategies for the League’s facilities. Constellation will also provide Renewable Energy Certificates (RECs) and Carbon Offsets to match the League’s carbon footprint, an estimated 550,000 metric tons, for the 2014-15 season. 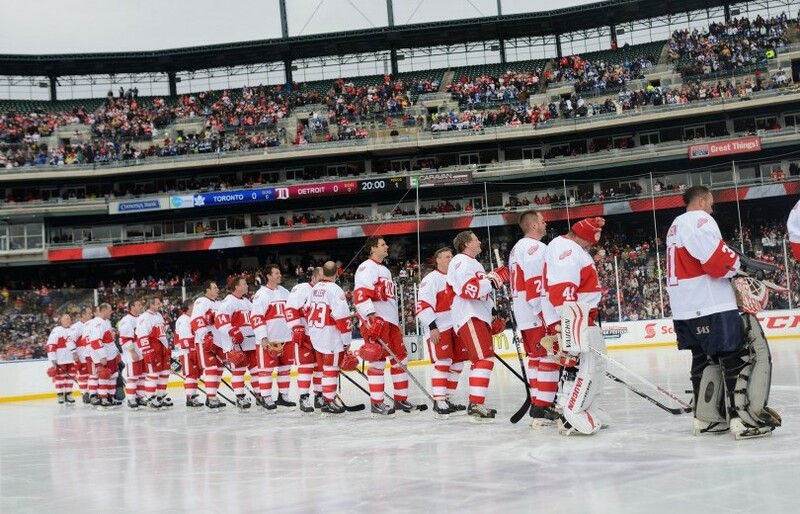 NHL and Constellation will be promoting efficient energy use at events throughout the season, including the Winter Classic, the All-Star game, the Coors Light Stadium Series and the playoffs. The carbon footprint of 550,000 metric tons of greenhouse gas emissions per year included league and team business activities for over 182 game days and nearly two million miles of team air travel per season. 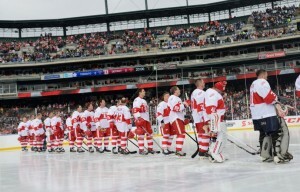 The merger further advances the motives of NHL green, an environmental sustainability initiative made public at the 2010 Bridgestone Winter Classic by Bettman. NHL Green was established to promote green practices across the league, and its goals include reducing the use of natural resources in business operations, to track and measure the environmental impact of the sport, and to inspire fans and partners to commit to environmental stewardship. In July of this year, the NHL released their sustainability report, the first of its kind produced by a major sports league in North America. The report was created to address the effects of climate change and freshwater scarcity on the sport of hockey. The report announced that the NHL had joined forces with the Natural Resource Defense Council (NRDC) and Senior Scientist Dr, Allen Hershkowitz. One goal of the sustainability report was to offset the League’s environmental impact by reducing emissions and by purchasing “green power” – electricity from renewable, clean energy resources. The partnership with Constellation is a clear indication that the league is putting their money where their mouth is and taking the necessary steps to make an environmental difference. The report also looks into the League’s water usage (over 300 million gallons per season), the amount of waste going to landfill (22.5 tons), and the average amount of air travel for each team (65,000 air miles, emitting 3,136 metric tons of CO2). All of these are numbers the league hope to bring down significantly in the future.